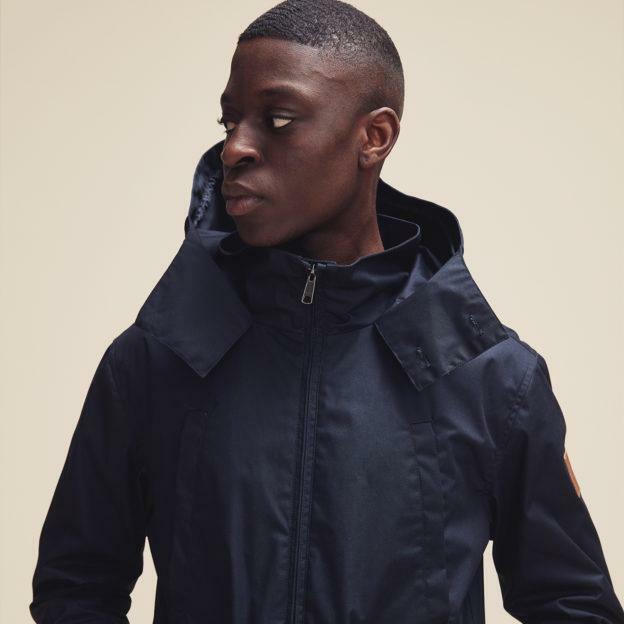 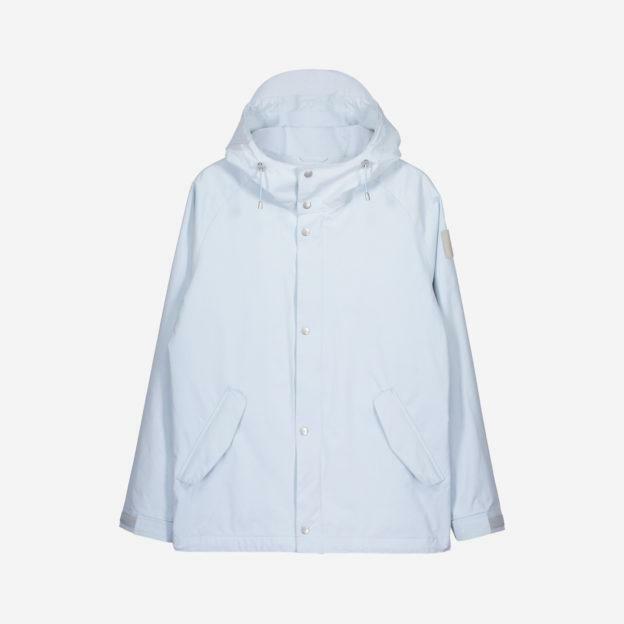 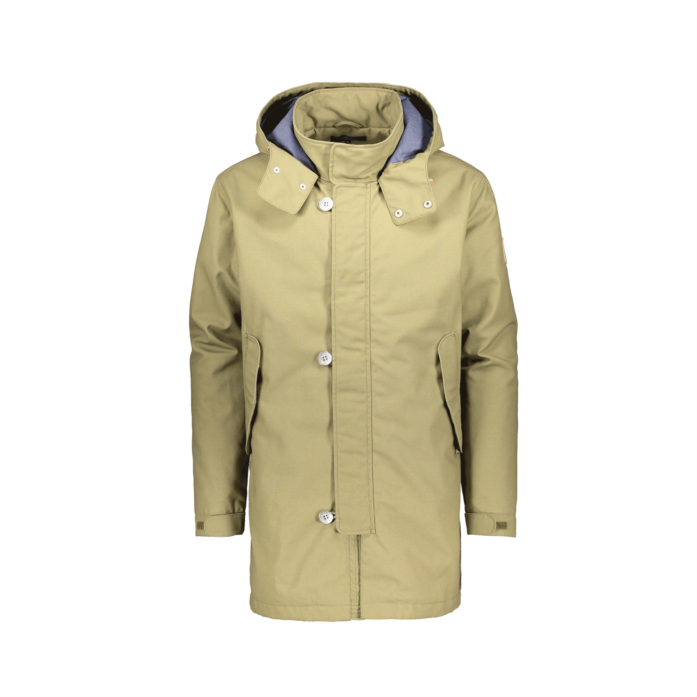 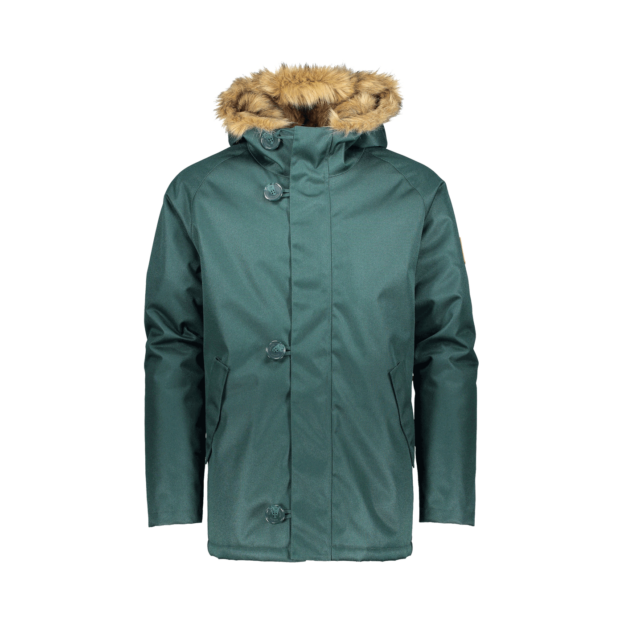 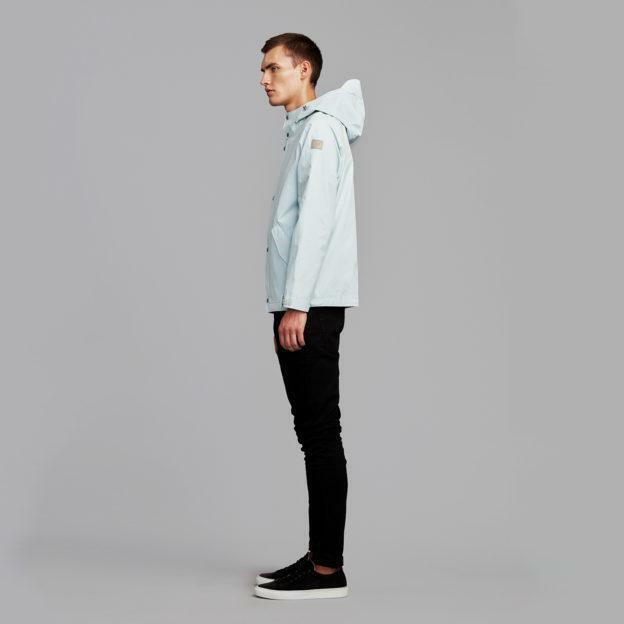 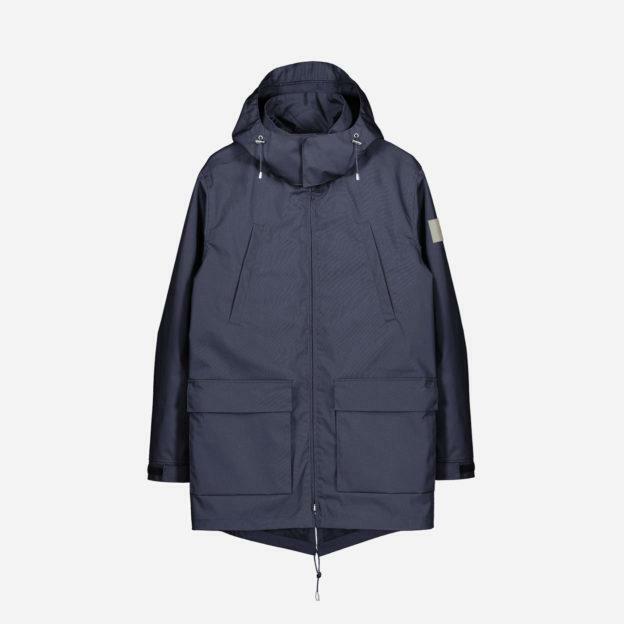 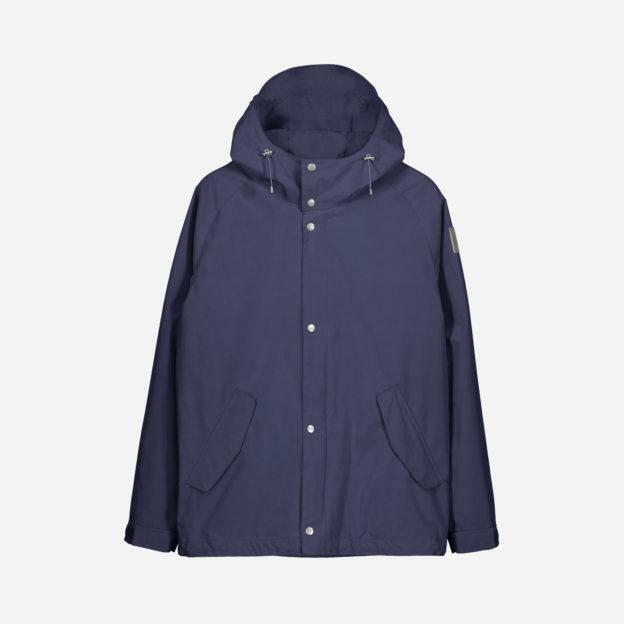 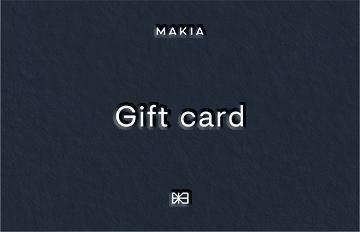 Makia Fishtail Parka is an outdoors inspired mid length shell jacket, with medium insulation and an oxford/poly lining. 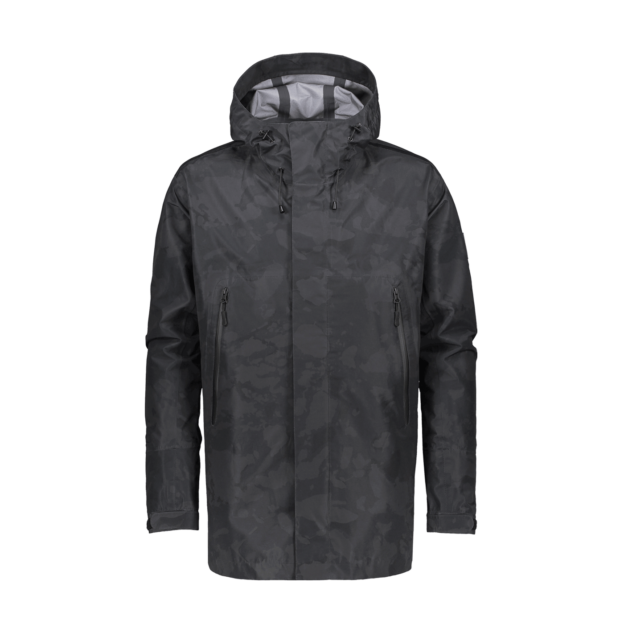 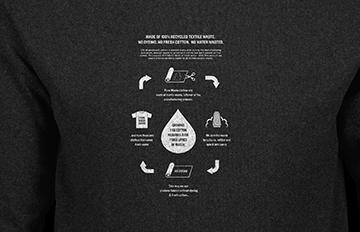 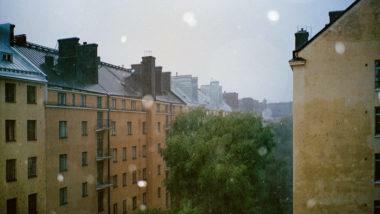 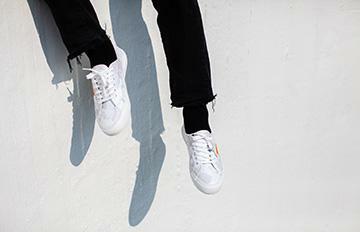 The surface fabric has great weather repellent capabilities without looking too sporty. 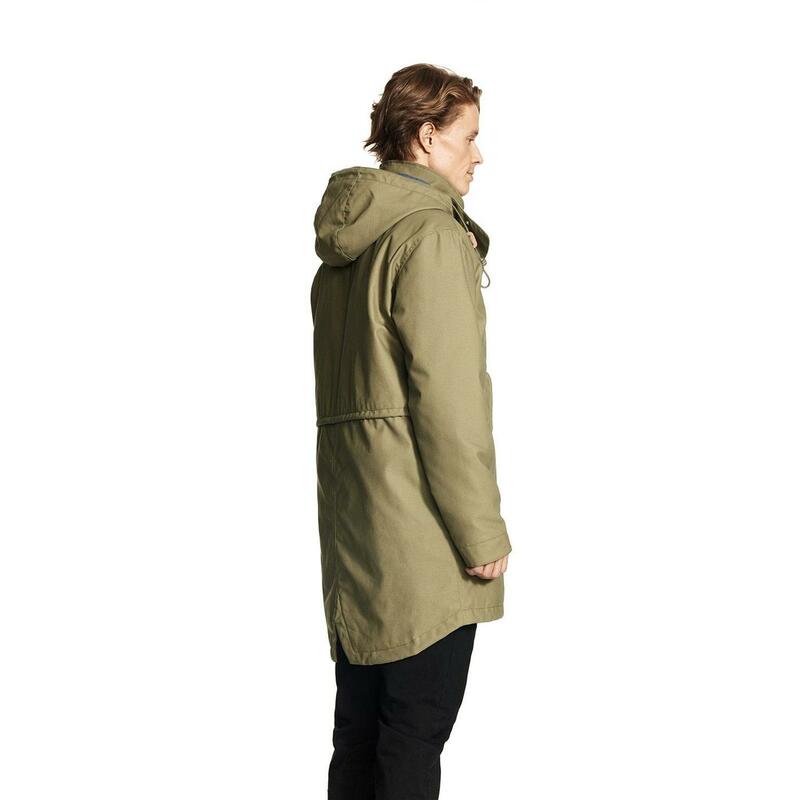 The Jacket has one inside chest pocket and two zip up pockets on waist. 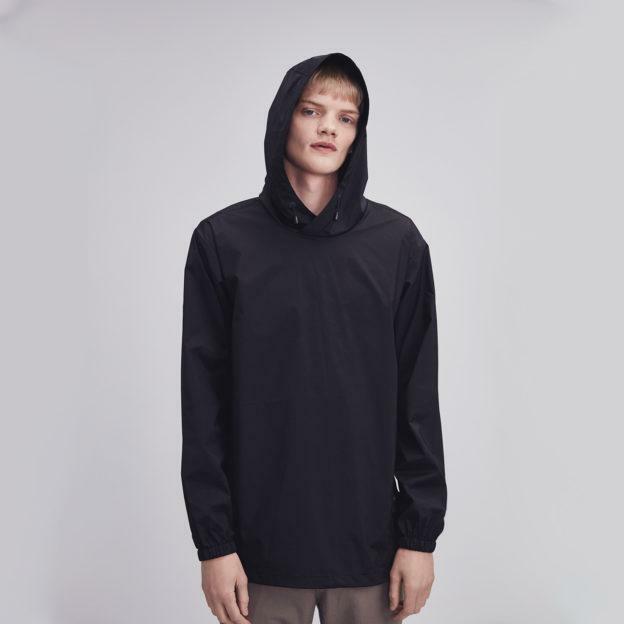 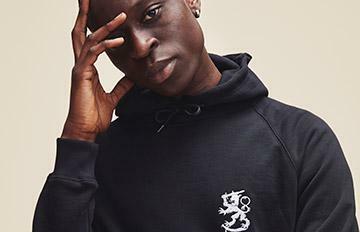 The fit can be adjusted from the pull-cords in the hood and waist, along with velcro closures on sleeves. 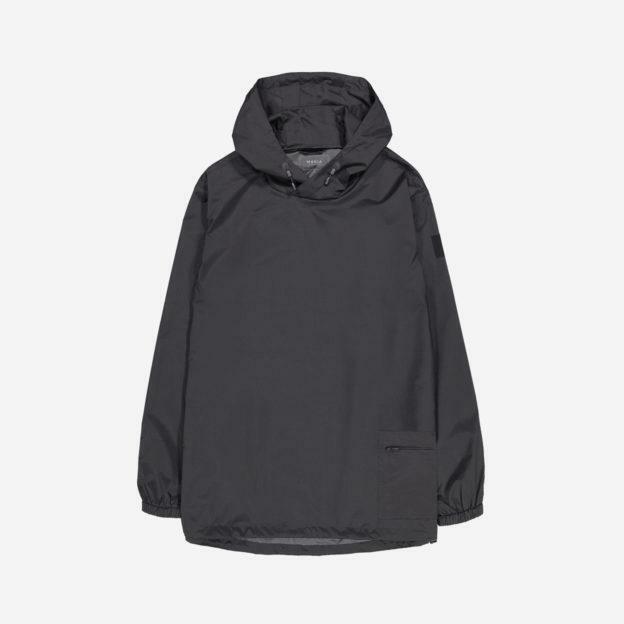 The two way YKK zipper is covered by a list that can be closed with three anchor labeled steel buttons.Other details include a fitted hood and a discrete leather label on sleeve. 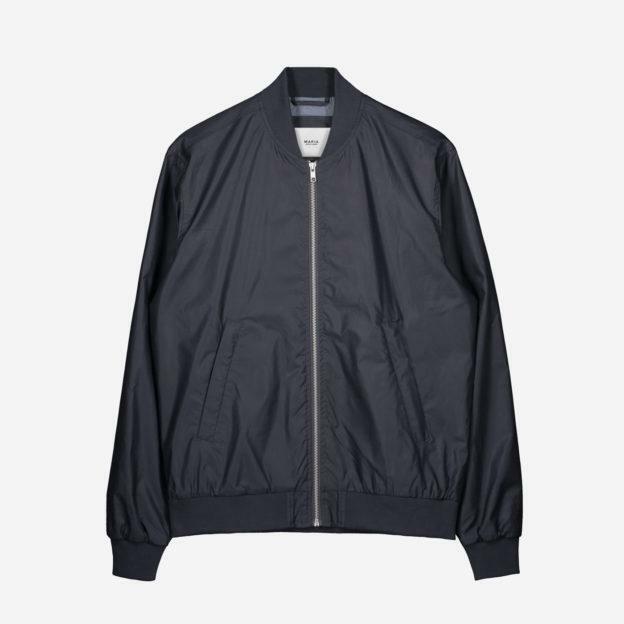 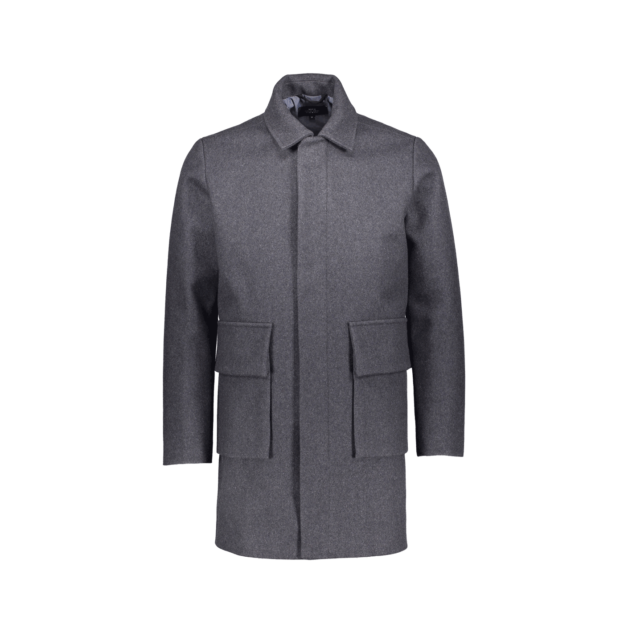 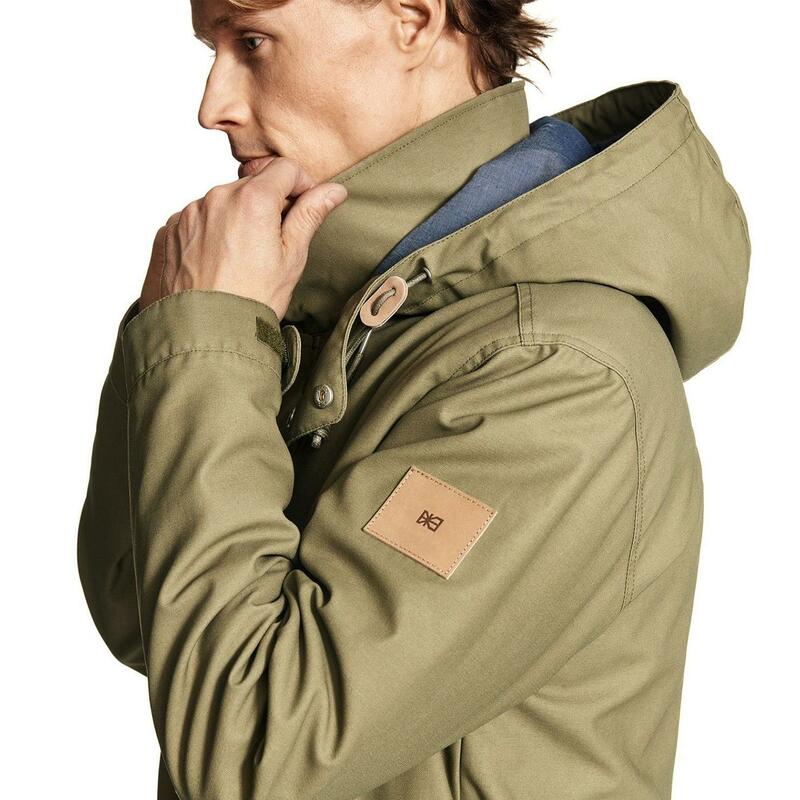 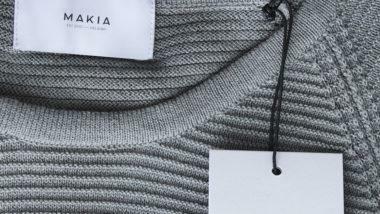 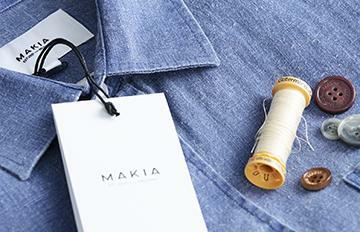 The jacket can be re-treated with Makia Harbour Wax for a water repellent finish.